We should make ourselves stop trying to explain our own difficulties. Our first impulse is to try to account for them, figure out why what has happened did happen. Sometimes such an effort is beneficial: more often it is distinctly harmful. It leads to introspection, self-pity, and vain regret; and almost invariably it creates within us a dangerous mood of confusion and despair. Many of life’s hard situations cannot be explained. They can only be endured, mastered, ad gradually forgotten. Once we learn this truth, once we resolve to use all our energies managing life rather than trying to explain life, we take the first and most obvious step toward significant accomplishment. Only as we yield to the inexorable, only as we accept the situations which we find ourselves powerless to change, can we free ourselves from fatal inward tensions, and acquire that inward quietness amid which we can seek – and usually find – ways by which our limitations can be made at least partially endurable. Why is [this] so difficult for most people? because most of us were told in childhood that the way to conquer a difficulty is to fight it and demolish it. That theory is, of course, the one that should be taught to young people. Many of the difficulties we encounter in youth are not permanent; and the combination of a heroic courage, a resolute will, and a tireless persistence will often – probably usually – break them down. Bu tin later years the essential elements in the situation change. We find in our little world prison-walls which no amount of battering will demolish. Within those walls we must spend our day – spend them happily, or resentfully. Under these new circumstances we must deliberately reverse our youthful technique. We must gain victory, not by assaulting the walls, but by accepting them. Only when this surrender is made can we assure ourselves of inward quietness, and locate the net step on the road to ultimate victory. Writer: It is a lot to take in–to figure out what it all means. Adult Pi Patel: If it happens, it happens, why should it have meaning? Pi Patel: And then Richard Parker, my fierce companion, the terrible one who kept me alive, disappeared forever from my life. Pi Patel: [voice over] After a few hours, a member of my own species found me. He left and returned with a group who carried me away. Pi Patel: [voice over] I wept like a child, not because I was overwhelmed at having survived, although I was. I was weeping because Richard Parker left me so unceremoniously. It broke my heart. Adult Pi Patel: Even when God seemed to have abandoned me, he was watching. Even when he seemed indifferent to my suffering, he was watching. And when I was beyond all hope of saving, he gave me rest. Then he gave me a sign to continue my journey. Pi: Above all… it is important not to lose hope. 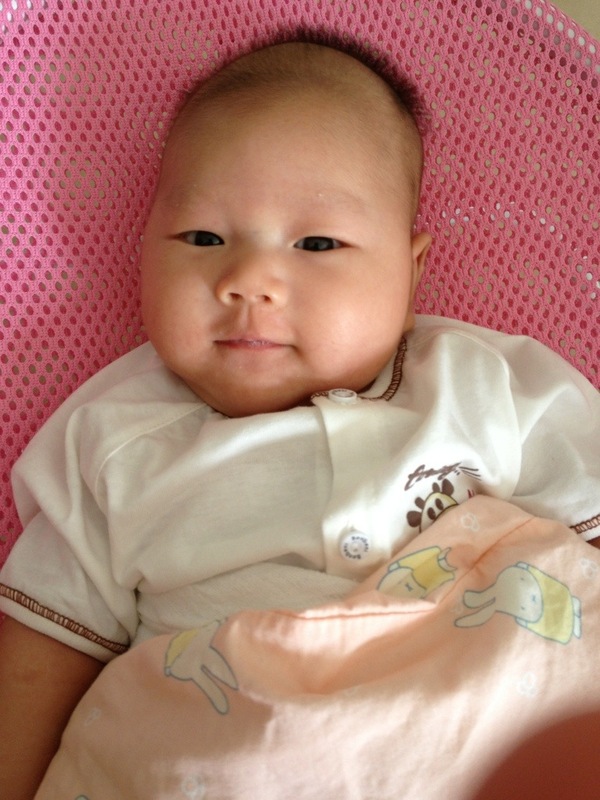 It has never crossed my mind that I would have been able to feed so well to get Huaihao this chubby . But I did it despite all the difficult attempts at breastfeeding in the v beginning . My day isn’t like any one before n so r my nights. I mean, I can wake up to breastfeeding him in the wee hours n still feel alert n happy n continue with hanging the laundry . It is 4am now n I m writing the blog. Fearing that I might lose my train of thoughts if I hadn’t . He gives me strength to break frontiers n I remind myself to seek a new pathway just looking at him. I love it that I m tired n worried n sad but just looking I forget these all n only think about making him happy. 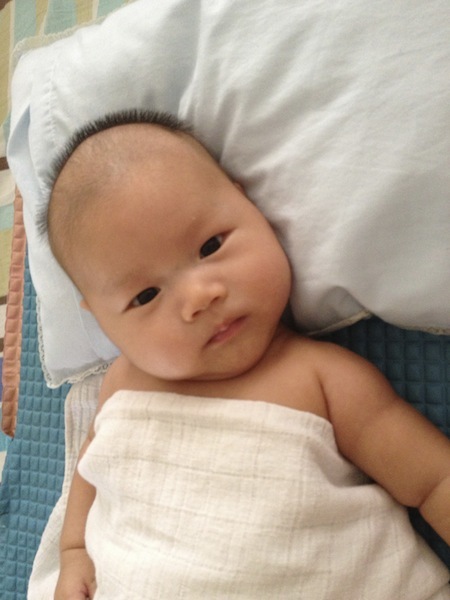 HuaiHao has a temper, n would flare up when the milk isn’t with him when he wants it. He didnt want to be on his own, but wants to be carried around very much. And when this need isnt met, he would flare up as well. There were also times when he is sleepy and would cry. We tried giving him the pacifier. It used to b that he would b at my breast when he cries but now he would b using the pacifier. When he couldn’t get any milk out of it, he would throw out the pacifier. 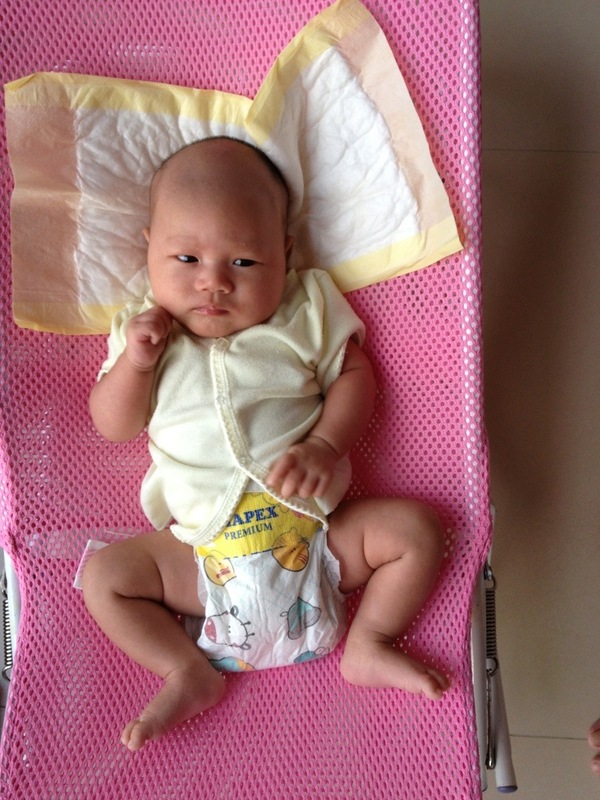 He also tried taking the bus to c Dr Ngiam on his first month checkup . That’s him at Dr Soon’s clinic. 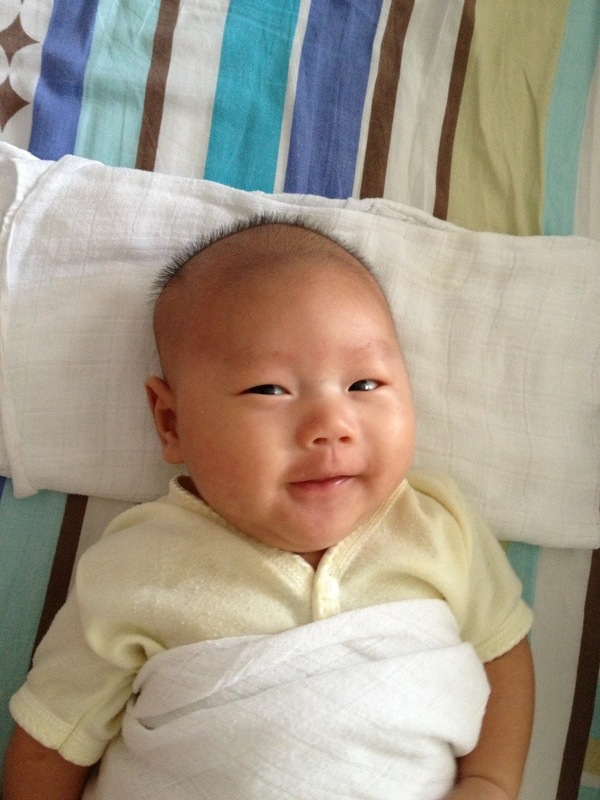 These days, Huaihao seems more contented with breast feeding , he seems to b able to derive enough. I guess my supply has finally matched his demand somewhat. When hungry, he pushes his fist into his mouth. How clever. I loved it when he feeds n stretches after a feed. He never fails to amuse me with his varied expressions, i wished i had a phone camera to record but I know I will always remember them. And here towards the second month, this is how haohao feeds. I m into chit chatting with him these days. He is smiling a lot more n talking more! 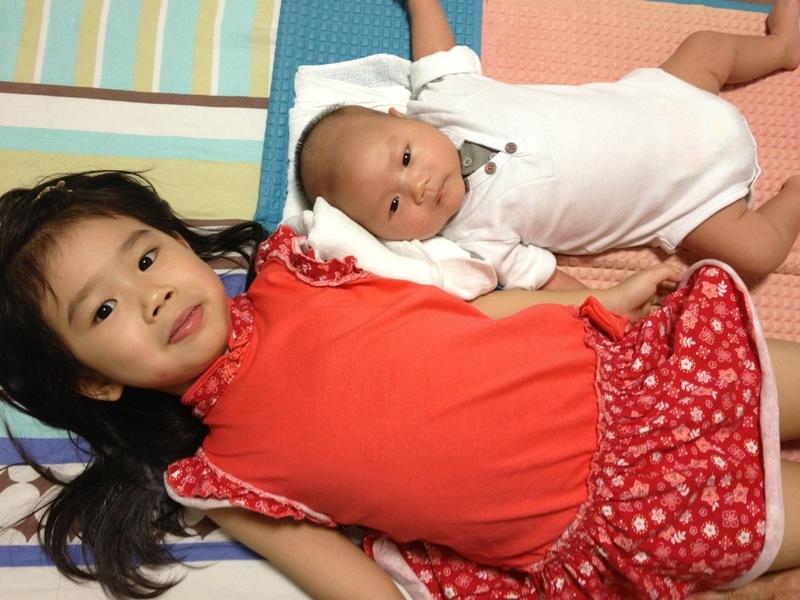 After these few years into motherhood , I m for the first time, left alone with my child at home. But there was no fear in me. Just, DO it. 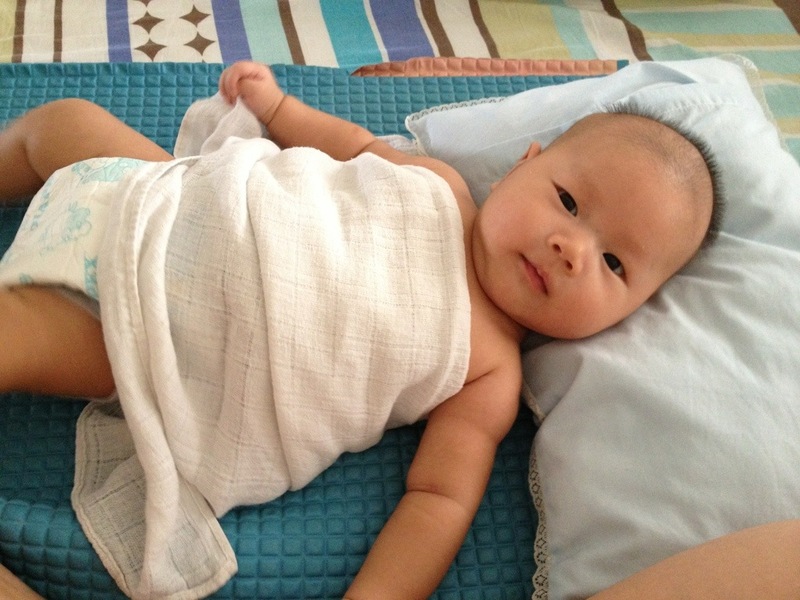 No one recorded my first bathing experience for Huaihao, n it didn’t matter to me so much because I have experienced it for myself. We were alone n we chatted. He would respond with oohs n aahs. And I would leave him alone by the window after bath while I tended to housework. There were times when I wondered if I wanted to b a stay at home mom at all, when Huaihao fusses n I couldn’t get what he wants. And there were times when I felt disgusted with myself, fat n messy, breasts spilling everywhere. But then his smile would drive away all. I remembered Dr Ngiam’s words— to enjoy him . 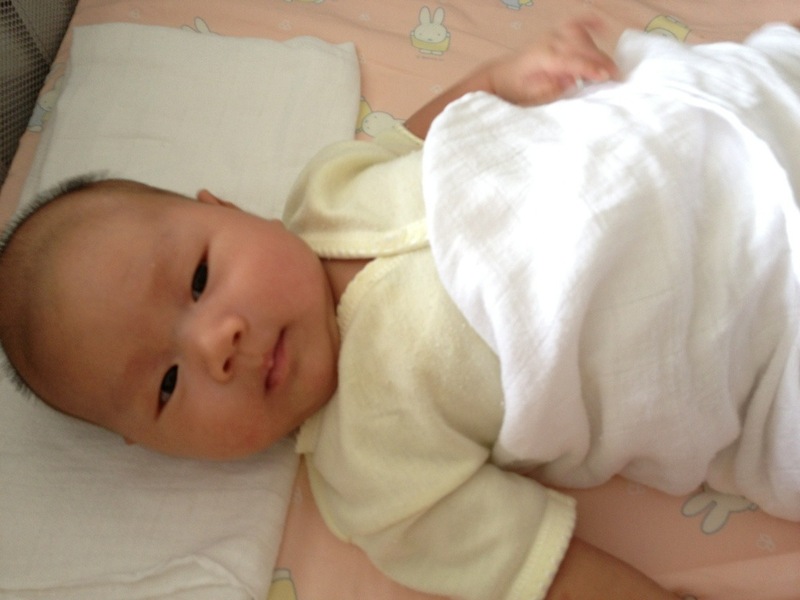 After 303 days on mar 4, about 6 weeks after Huaihao is born, I got my period back. It is 6 mar today. Huaihao has settled into a sort of routine. He sleeps after a feed at 7 plus 8 n would wake at about midnight , then once in the middle of the night then morning. It is 11 mar today n his routine has changed. 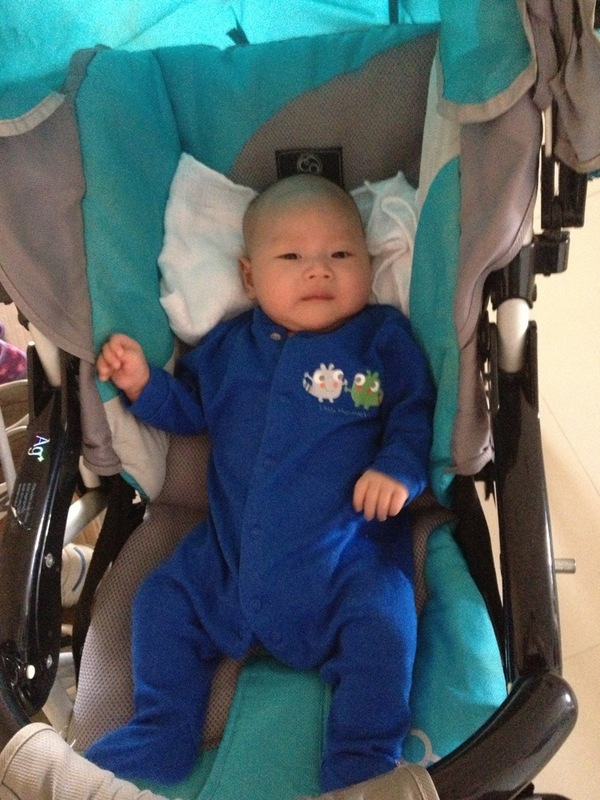 Haohao is growing. 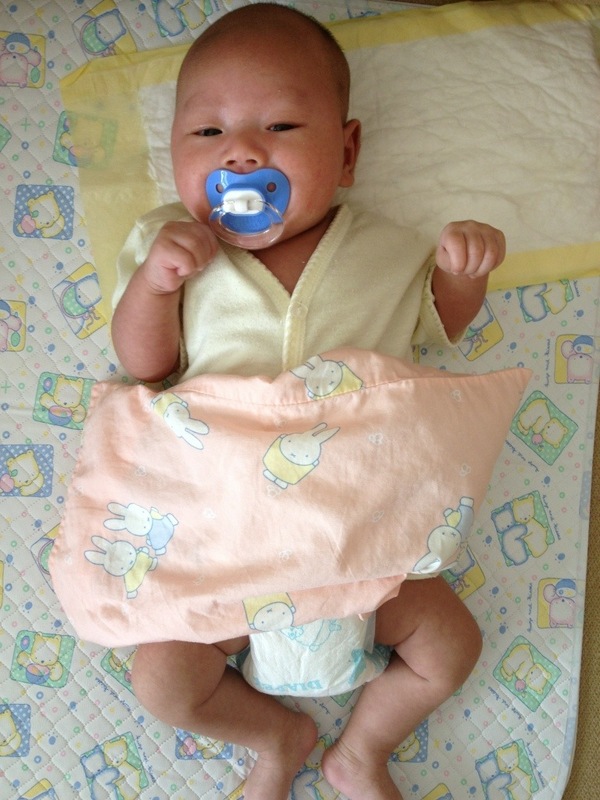 I tried to bring to mind how haohao looked like when he was born. The image seemed a bit far now. He looks like this now. 11 days shy of his 2nd month. His smiles were infectious, when I saw them, I would follow immediately unthinkingly. 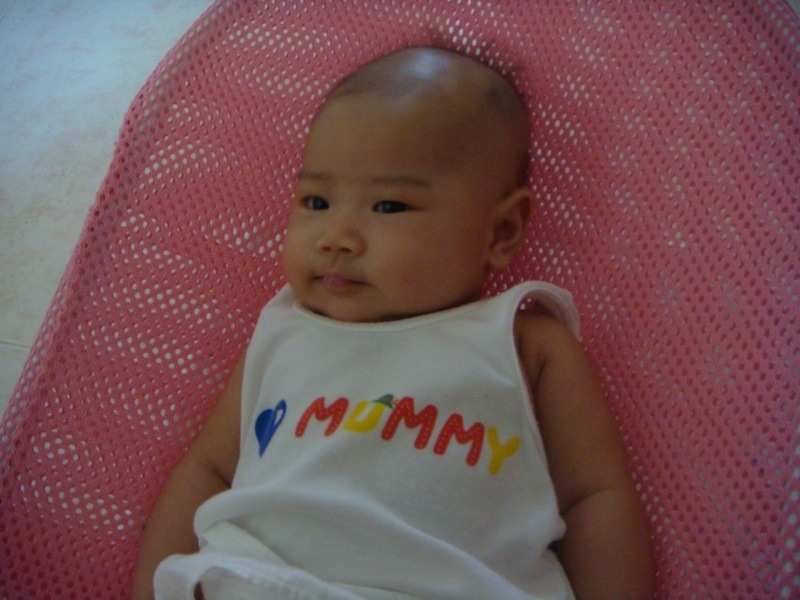 And 公公says Huaihao looks like me when I was a baby. And just as i bawled till i was black in the face, Huaihao did the same. He gave me a chance to look at myself when I didn’t know me. 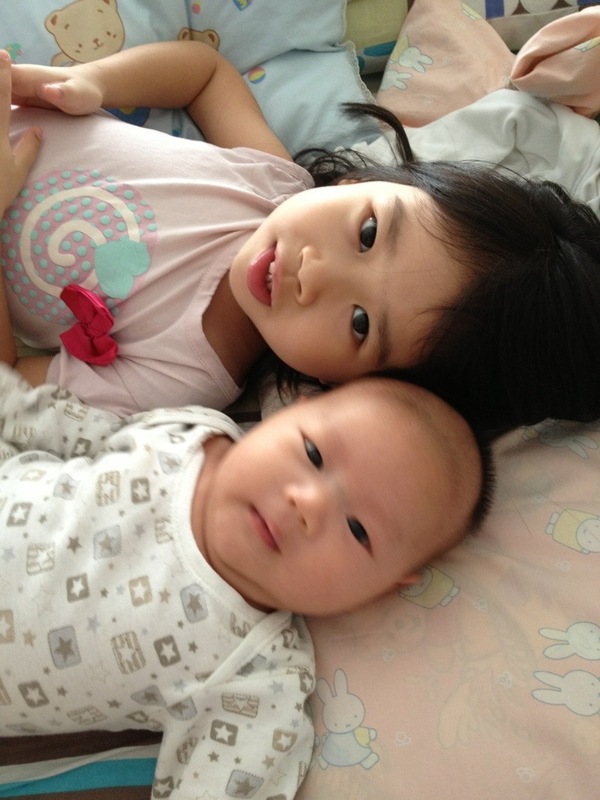 On this day mar 15, mommy brought qinzhi n Huaihao to pasir ris for a staycation . He has earned himself yet a few nicknames to this date, 1 wk shy of 2 mths. 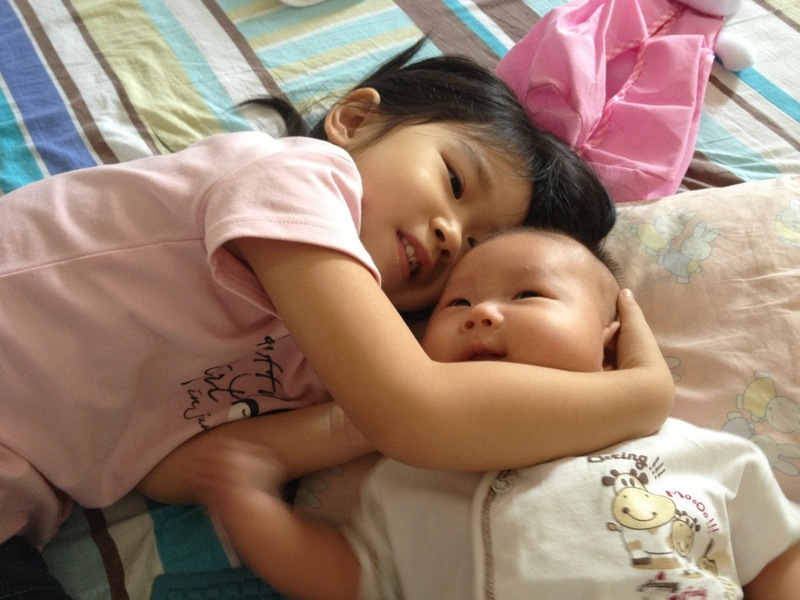 Seng calls Huaihao 龙弟弟, 阿妹calls him ah pong, davina calls him yne yne , meaning round. 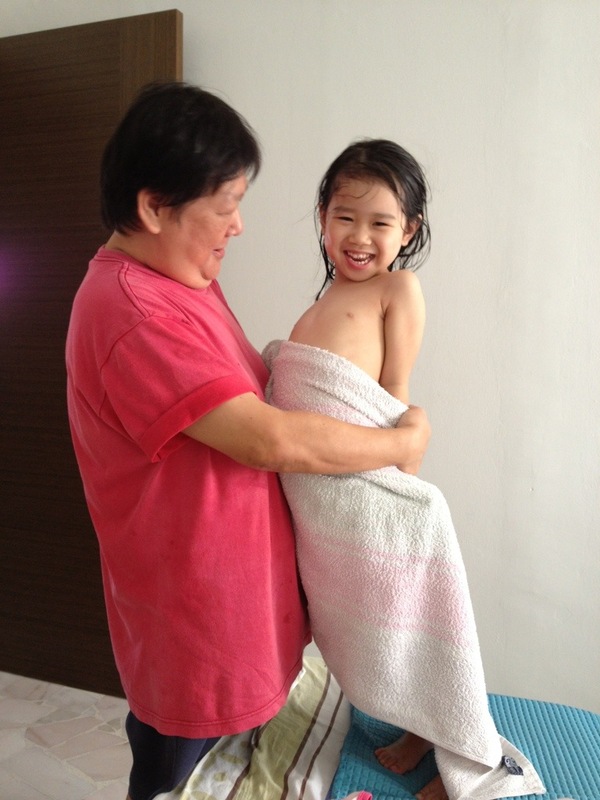 Mama calls him Lui gong or 雷公. 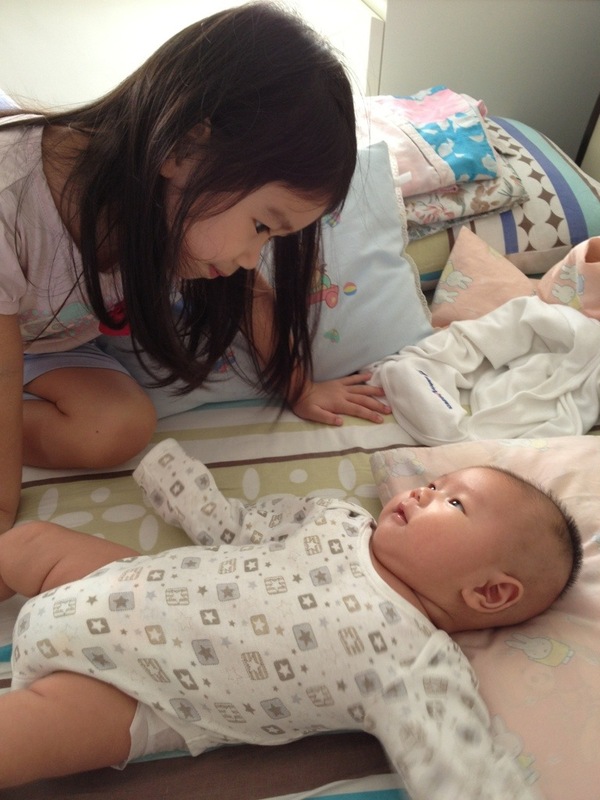 Whilst qinzhi calls him Pai Pai : naughty. 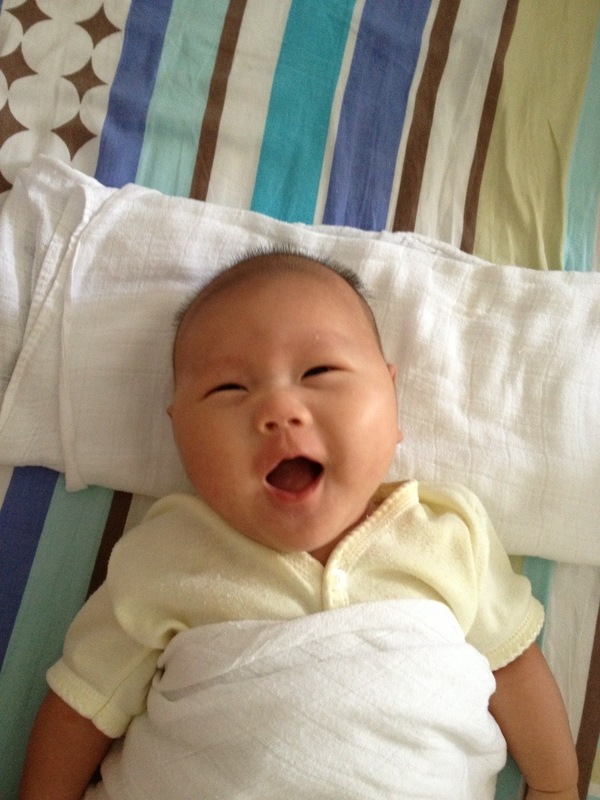 He smiles more often these days n coos to my chatting. I so love it! I had the privilege to observe him n to simply appreciate him sleeping at pasir ris. And I had to ask: what is in Huaihao ‘s sleep? Who is in there? And he gives me the opportunity to sleep like he does. It is these times that I realize how so v wrong to not capture or solidify these previous moments in photo. 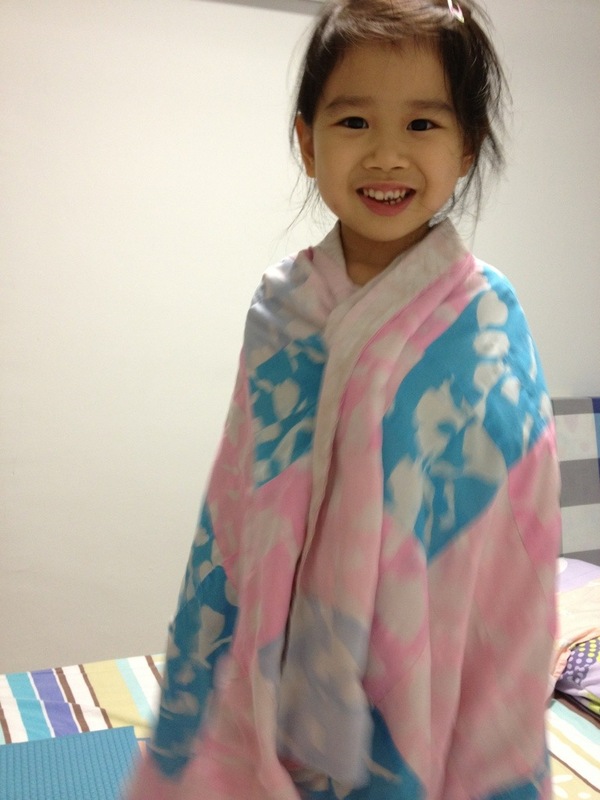 We have been taking so little photos n videos of Huaihao n I m feeling so wrong. Theres just this way to growing up n missing it now means missing it for good, it’s not something u can make up for. And I m beginning to look into his eyes to see myself. 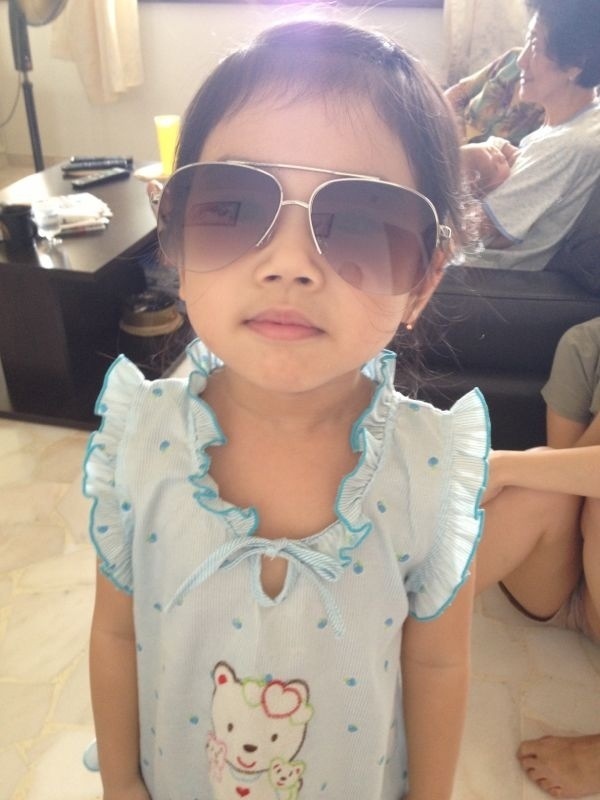 Just like when qinzhi was little. There were times when he would look at me without blinking . There would b this silence . But the silence was so filled. I almost could feel him checking me: did u do the things u want? R u truthful to yourself? Did u try ur v best? I seem to hear him . And I find myself feeling guilty all at once. 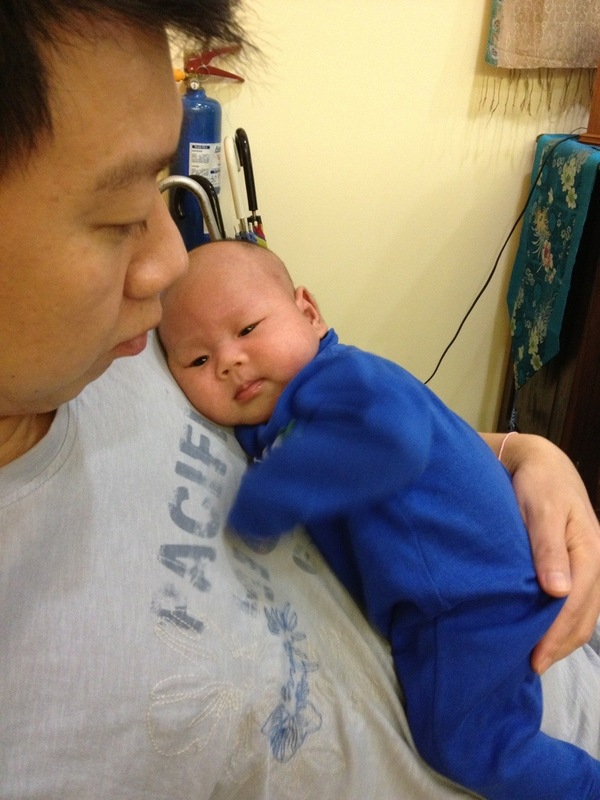 Many at times, Huaihao would want to b carried even in sleep. Daddy does that most often, ever since confinement. N for close to an hr or hours till his back n arms would hurt. For trying me in more ways than one, stretching my capabilities n helping me achieve breakthroughs. 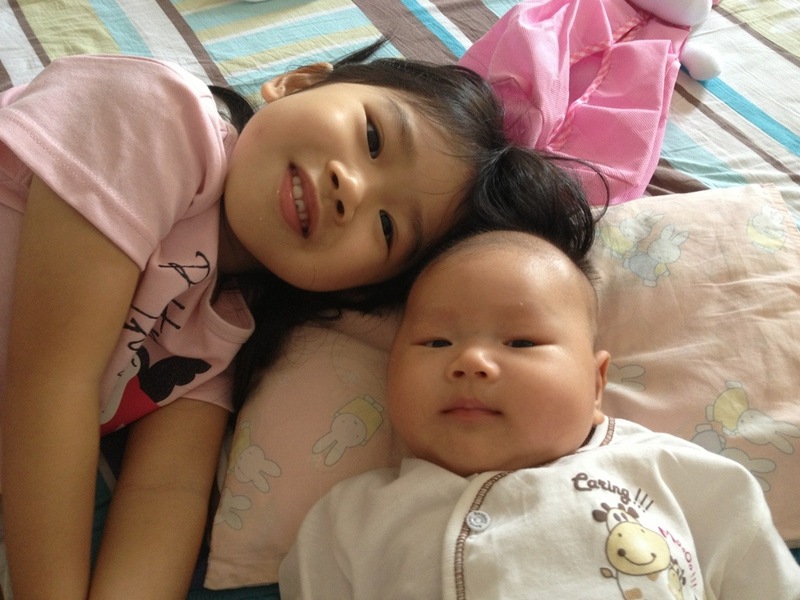 as Huaihao moved toward the second month, qinzhi geared towards 4yrs 1 month. 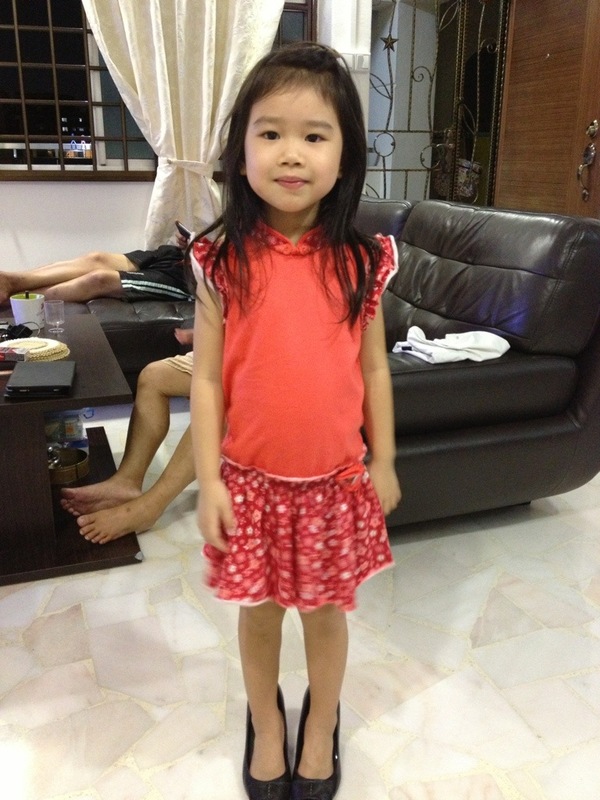 She has grown up to b a pretty lady, with big beautiful eyes that u can’t stop looking at. 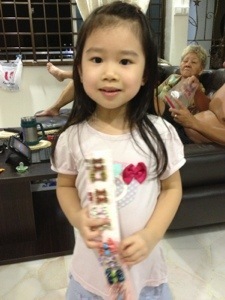 N Qinzhi is so grown up! 我亲爱的宝贝，happy 4years 1month, may u b well n happy! There are those of us who believe that our lives are predestined and that we should resign ourselves to our lots in life. Yet the truth is that it is up to each one of us to decide what that destiny will be. While each of us is born with a life purpose, it is up to us whether or not we will say yes to fulfilling it. And just like when we choose what to eat, who to keep company with, and whether to turn right or left when we leave our home everyday, choosing to say yes to your destiny is a decision that can only be realized when you take action to make that choice a reality. Whether you believe it is your destiny to be a parent, an adventurer, an artist, a pioneer, or a spiritual guru, saying yes to your destiny is only the first step. While manifesting your destiny starts with knowing what you want and believing you can attain your goals, there are then the actions that must be taken and the decisions to be made before your destiny can truly happen. When you take responsibility for fulfilling your destiny and begin acting with the intention of doing so, you not only take fate into your own hands, but also you become the hands of your own fate. Doorways inevitably open for you to step through, and every choice you make can be a creative act toward realizing your goals and dreams. You begin to follow your instincts and intuition, recognize opportunities when they are presented to you, and seize those golden moments. You also begin to recognize the decisions that may not serve this greater picture and can more easily push them aside. Remembering that the decision to fulfill your destiny is always a choice can be empowering. Knowing you are fulfilling your destiny because you want to, rather than because you have to, can make a huge difference. When you are freed from obligation, obstacles in your way become challenges to be overcome, and the journey becomes an adventure rather than the obligatory steps you are being forced to take. Your destiny may be waiting for you, but whether or not you meet your destiny is up to you. Your fate is in your hands. Be silent so that life can speak to you. Silence can be delightful and extremely powerful if you just give it a chance. All artists spend a great deal of time in their own company working in isolation. Solitary time is fundamental to being creative. If you want to unlock your creative self you will need to get used to spending time with yourself. But spending time alone is one of the best ways of giving your unconscious mind access to your conscious mind. Creativity thrives in solitude because here you can listen to your thoughts, go deep inside yourself and focus on the here and now. But don’t confuse “being alone” with “being lonely.” They are two very different states and provoke different emotions. In solitude you begin to connect with whatever it is you need to achieve. You can become one hundred per cent absorbed in what you are doing, lost in your element. Time alone allows you to experiment, to fail and to succeed. You are not on view; that comes later, so in your quiet time you can peacefully organize your thoughts and make sense of experiences. For many artists it is the time when they feel totally alive.